Where do you sign an Abstract? 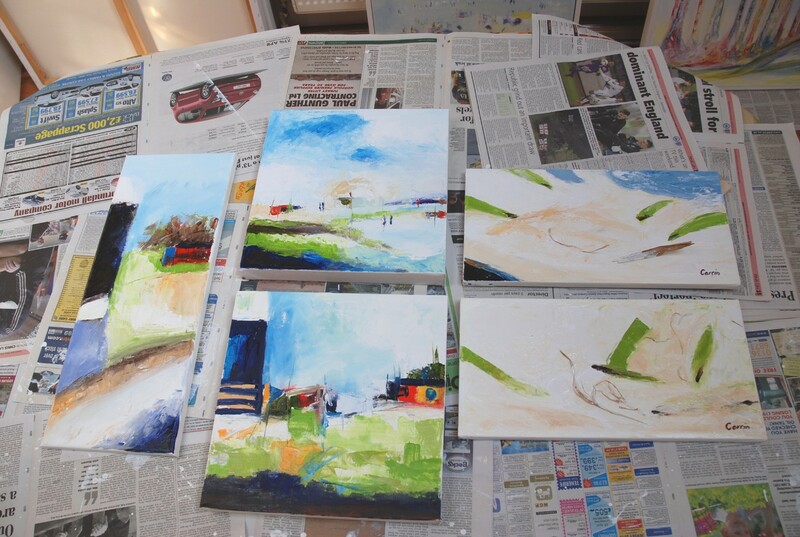 Take a look at this current collective of my paintings and you will see examples of my quandry, where do you sign the abstracts? Additionally using what techniques? 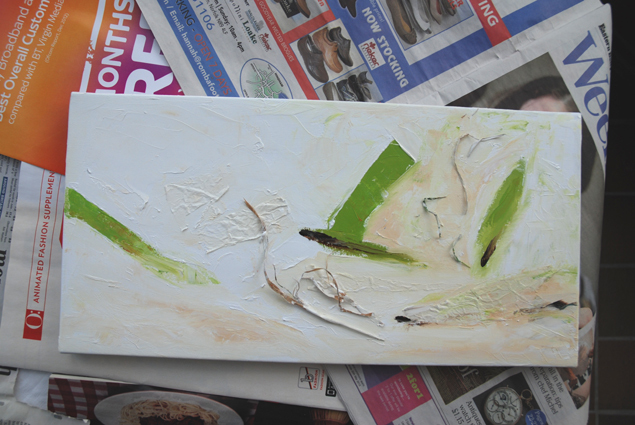 Brushes are too flowery unless dried up and therefore don’t hold the paint anyway. 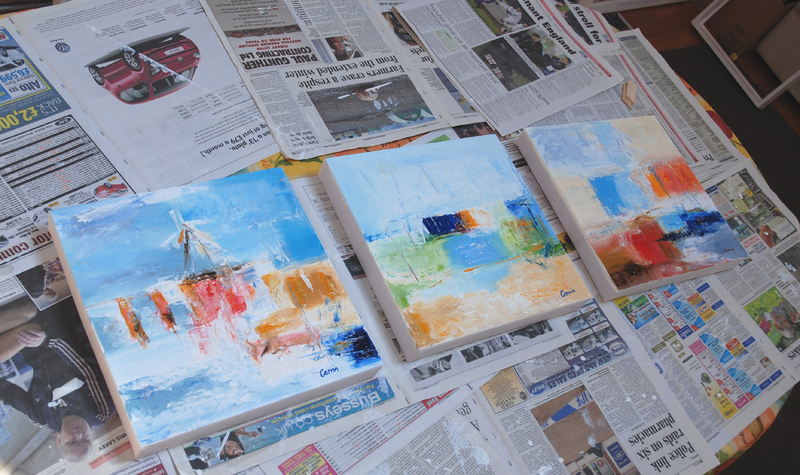 I tried many ways and concluded by signing with the smallest pallet knife I have. Annie Brundrit, my art pal suggested the hard pointy end of the brush. Hmmm so I will try that next time. I remember my friend Cherrell Avery, a lettering artist who also teaches hand writing told me once how the letter forms are affected by the link from the letter before. Seems obvious when you think of it now. So rather than link the ‘o’ to the ‘r’ in my name and have it go sort of squashed, I have more success treating them as individual letters. Another troublesome aspect with abstracts is ‘to sign or not to sign’. After dropping the pics into the RA a couple of weeks ago I ventured into a few galleries along Cork Street. 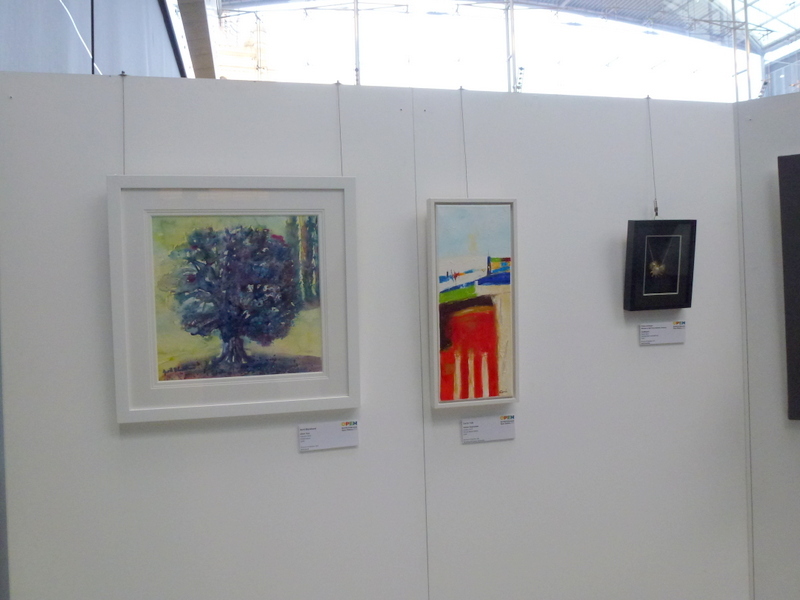 One had a number of abstracts on show, some by John Hoyland and others. I noticed 80% of the work was without signature and mentioned this to the attendant who explained it is most common with abstracts not to affect the front image. Why haven’t I noticed this before???? The next day I went to The Becoming Picasso Paris 1901 exhibition at the Courthauld Gallery and with signatures on the mind noticed the ‘YO Picasso’ in indigo paint in large letters about 6cm high in the top left area. Think he had a sense of humour. I think I have opened a can of worms here. I mean Rothko doesn’t seem to have signed his, neither does Cy Twomby, but then again they are just two examples of artists with signature (recognisable) work. Other artists resort to just initials, JMW Turner for example. 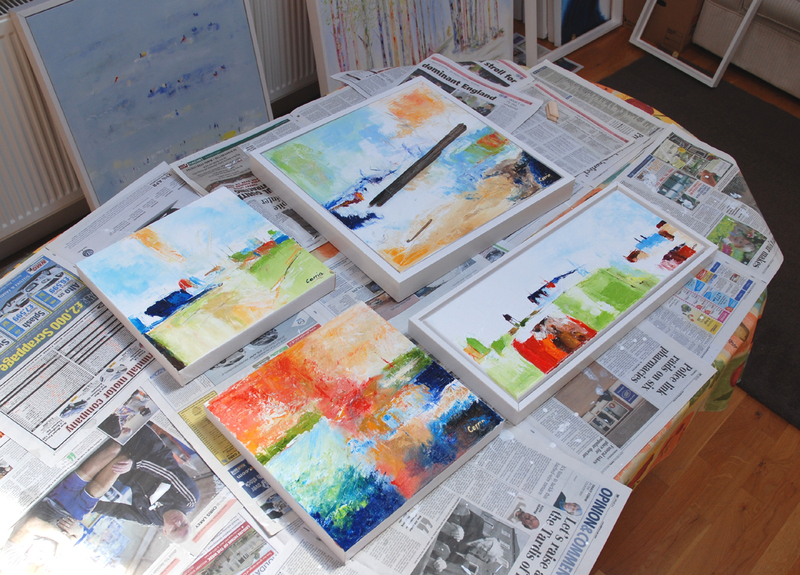 Several paintings are varnished, signed and labelled ready to head to Wynmondham arts centre, some for Broadlands taster exhibiton and others prepping for Open studios and Fakenham Art Biennial. If you fancy seeing any of my work in person there are several venues where I will be showing the new abstracts during the next couple of months. 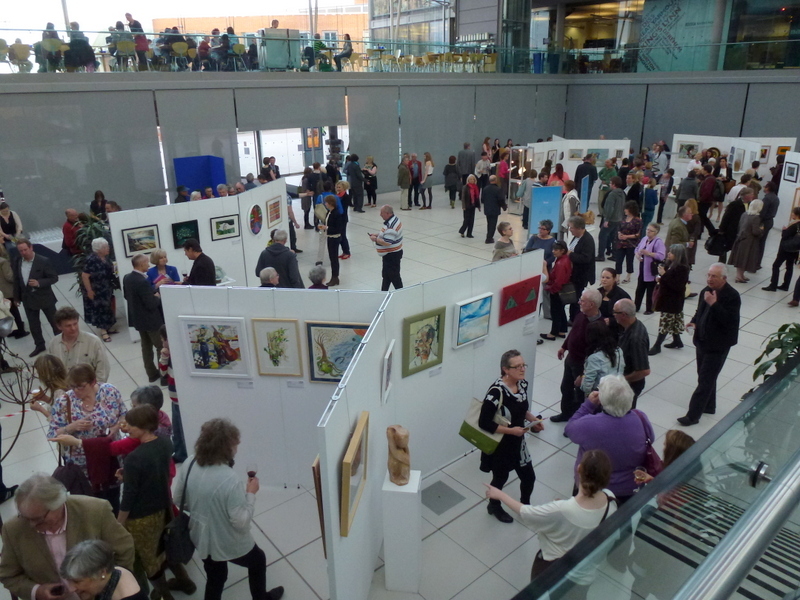 First off, The Forum Norwich is holding the groups Open studios taster exhibition. Tuesday 23rd April – 28th April. 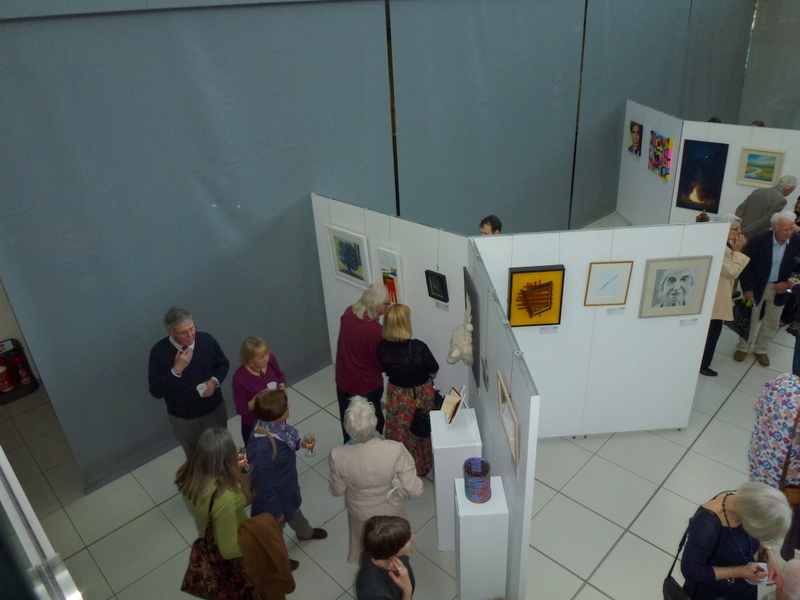 Wynmondham Arts Centre Spring show displays a collection of paintings, ceramics etc. It starts 30 April until 12 May. 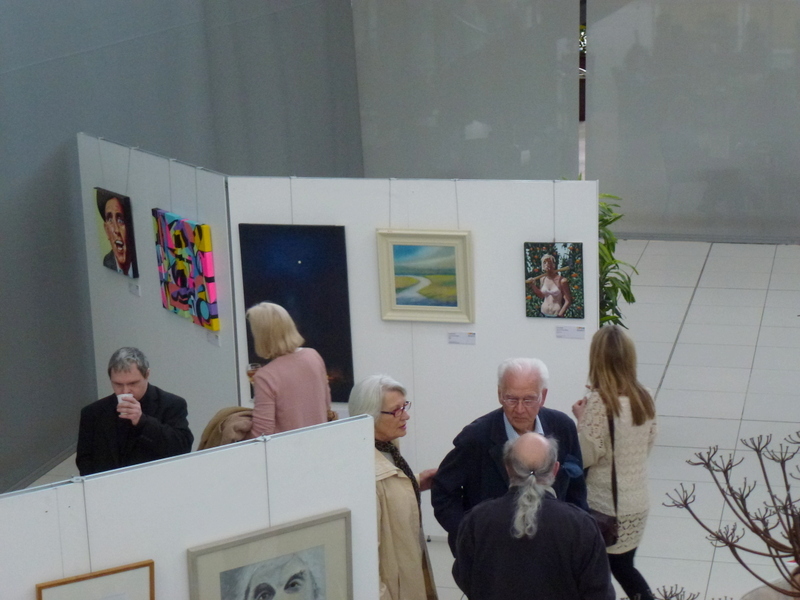 If you are more North of the County you might like the Broadlands open studio taster exhibition which shows at the North Walsham Atrium 2nd May – 14th May. I am also waiting to hear about my submission to The Royal Academy. 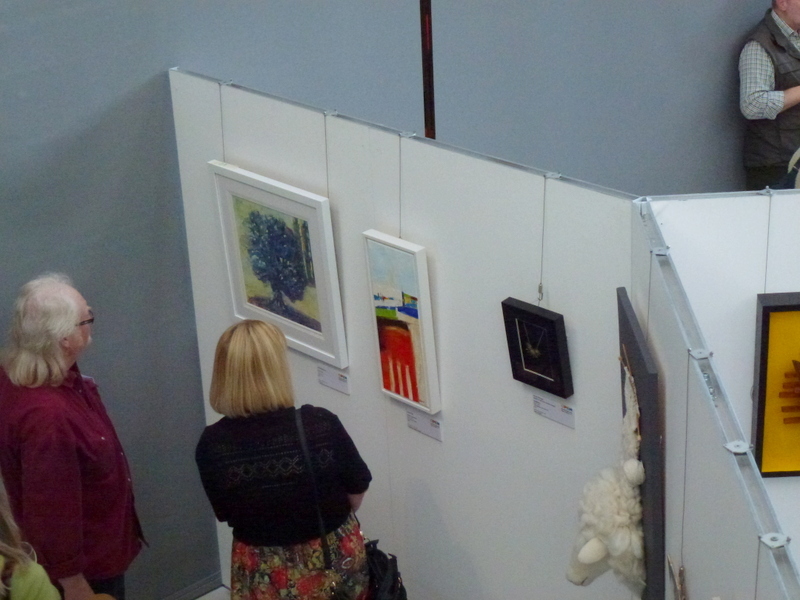 I entered these two small works. Mixed media and oil on canvas. 30 x 30cm. Entrants are notified in May. Cross fingers…. There are quite a few exciting summer events in the pipeline….stay tuned and I will update the blog when dates are confirmed. 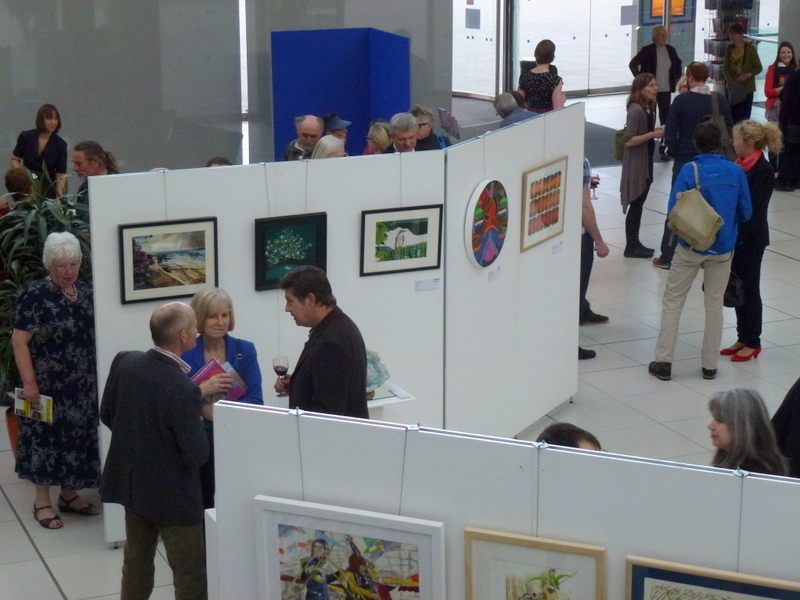 My website has more details on the open times and Private view events.